Are you a Moth or a Butterfly? Which side of your personality shines the brightest? 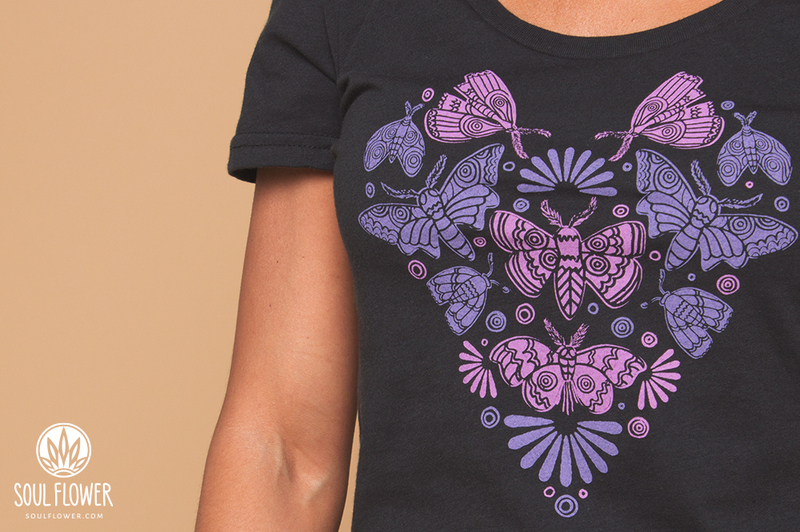 Your butterfly side is the cheerful, outgoing, social you (social butterfly!) who flutters around during the day with a smile. It’s the side of you that you show to the world: your outermost beauty that others are drawn to and easily attracts praise. Your moth side is the peaceful, reserved, introspective you who is guided by something greater and doesn’t feel the need to show off. This side is more closely guarded: the strange, innermost soul that raises eyebrows and takes patience to get to know. The butterfly sees everyone as a friend. The moth has a small circle of close kindred souls. Get to know a moth, and you’ll be dazzled by their magic. They’re celestially guided by the moon. And they create their own cocoon from their own silk or materials found in their environment: leaves, hair, saw dust, plant matter, and even paper. Divinely guided and crafty? Moths are freakin’ badass! 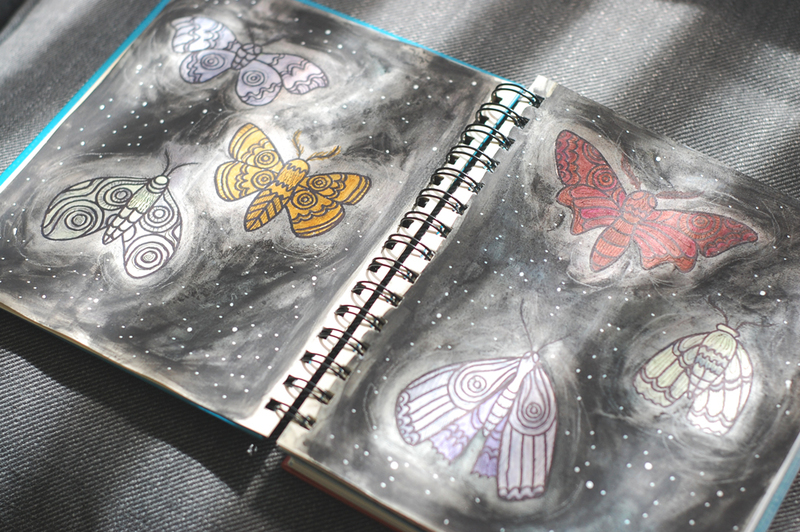 I drew these moths in an old repurposed day planner: the pages coated with white gesso for a whiter and textured base. 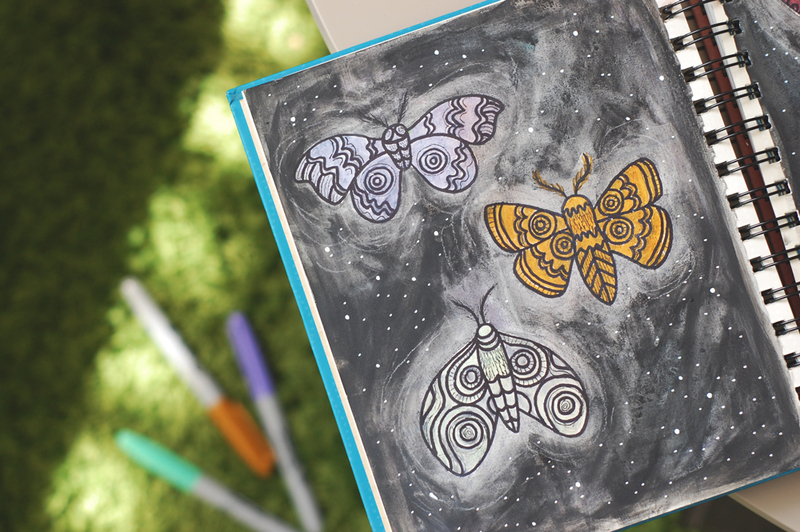 I referenced photos of moths mostly for shape, but filled their wings with funky stylized patterns. I wasn’t going for realism, but simplicity and whimsy. 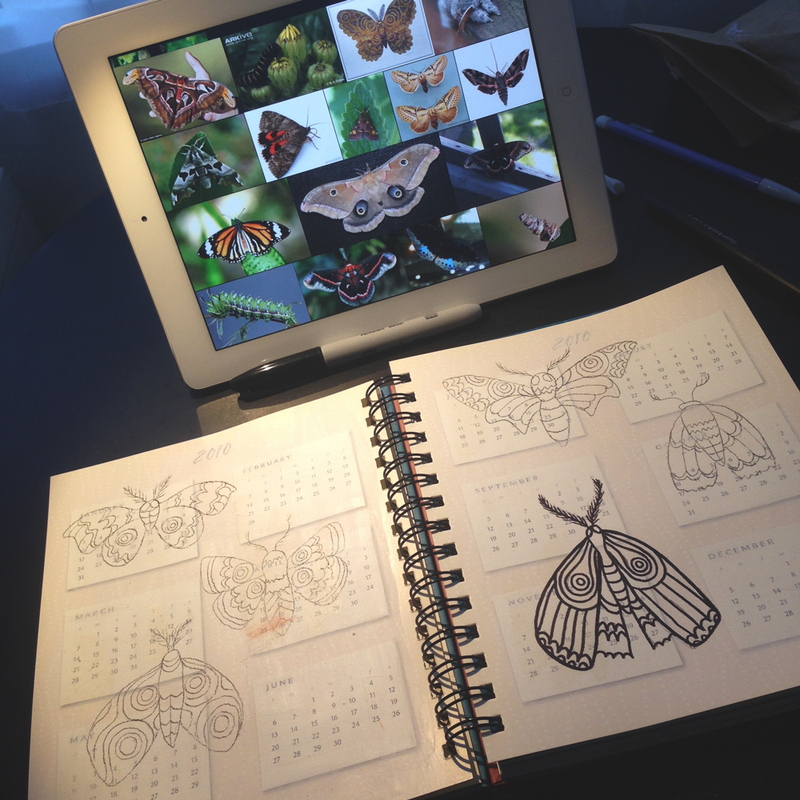 At this stage, I photographed the moths to use for the t-shirt design. Normally I don’t take a t-shirt design this far: the outlines are enough to transfer to a screen. 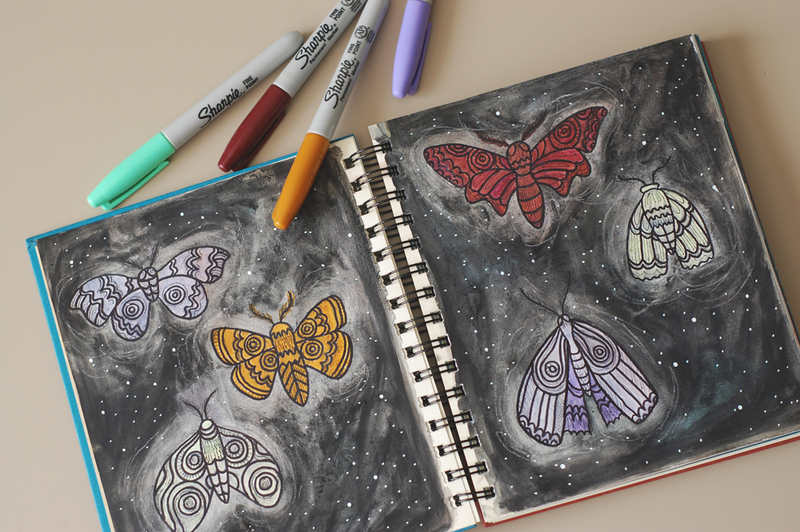 But these moths felt like they needed an environment to play in so I filled in each moth with Sharpie marker, and the night sky background with black watercolor. It’s a pretty art journal spread all on its own! 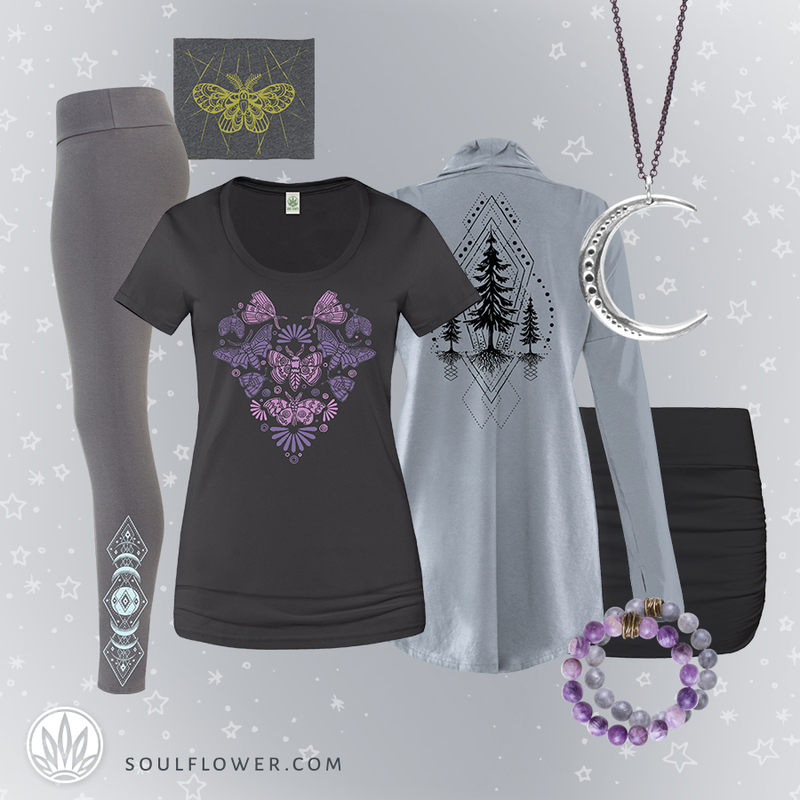 « #soulflowerbuds Our Buds’ Style!